March 19 is the 78th day of the year(79th in leap years) in the Gregorian calendar.There are 287 days remaining until the end of the year. 1962 – Highly influential artist Bob Dylan releases his first album, Bob Dylan , for Columbia Records. The naval Battle of Yamen took place on 19 March 1279 and is considered to be the last stand of the Song dynasty against the invading Mongol Yuan dynasty. Although outnumbered 10:1, the Yuan navy delivered a crushing tactical and strategic victory, destroying the Song. Year 1434 (MCDXXXIV) was a common year starting on Friday of the Julian calendar. Alkmund of Derby, also spelt Ealhmund, Alhmund, Alcmund, or Alchmund was a son of Alhred of Northumbria. After more than twenty years in exile as a result of Northumbrian dynastic struggles, he returned with an army. He was killed in about 800, for which King Eardwulf of Northumbria was held responsible. Whatever the exact circumstances, his death was regarded as a martyrdom, and Alkmund as a saint. Joseph is a figure in the Gospels who was married to Mary, Jesus' mother, and was Jesus' legal father. 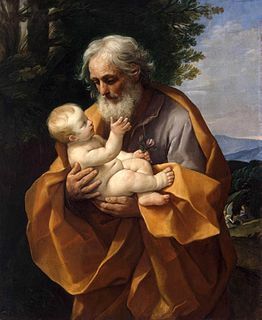 Joseph is venerated as Saint Joseph in the Catholic Church, Orthodox Church, Oriental Orthodox Church, Anglicanism, Lutheranism, and Methodism, and is also known as Joseph the carpenter. Some differing views are due to theological interpretations versus historical views. June 10 is the 161st day of the year in the Gregorian calendar. There are 204 days remaining until the end of the year. ↑ John Davies; Nigel Jenkins; Menna Baines (2008). The Welsh Academy encyclopaedia of Wales. University of Wales Press. p. 754. ISBN 978-0-7083-1953-6. ↑ Jenkins, Betty L. (1990). "A White Librarian in Black Harlem". The Library Quarterly: Information, Community, Policy. 60 (3): 216–231. JSTOR 4308477. ↑ "Carmen Carbonell. Film,Theatre. Biography and works at Spain is culture". www.spainisculture.com. Retrieved 2017-10-24. ↑ "Clara Estelle Breed (1906-1994) - Find A Grave..." www.findagrave.com. Retrieved 2018-07-10. ↑ "the Pointer Sisters". Encyclopædia Britannica. Retrieved 25 July 2014. ↑ Eliane Elias biography, BrowseBiography.com, 20 November 2011; retrieved 10 September 2014. ↑ "Neil LaBute Biography (1963)". FilmReference.com. Retrieved 7 April 2014. ↑ Willis, John (20 January 1995). "Theatre World 1992-1993". Hal Leonard Corporation. p. 216. ISBN 978-1-55783-203-0. ↑ Roland Jeffery (2019-04-03). "Sir William Whitfield obituary". The Guardian. Retrieved 2019-04-11. Wikimedia Commons has media related to March 19 .